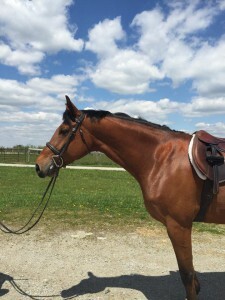 Whitny is a 7 year old Hanoverian mare by Widmark. Whitny is a 16.1 h dark bay. Whitny is a great hunter prospect. She has started over fences.